Birmingham New street Station is one of the Uk's largest stations and it is under other buildings and rather dark. All the ticket offices and coffee shops are above the platforms and you often have to use the escalators steps or lifts to get to the platforms. The amount of trains using the station means that the TV screens show lots of pages but only about 30mins 60mins ahead at peak times. New Street station is on the West Coast Main Line with trains to London and Liverpool, Manchester and Scotland. 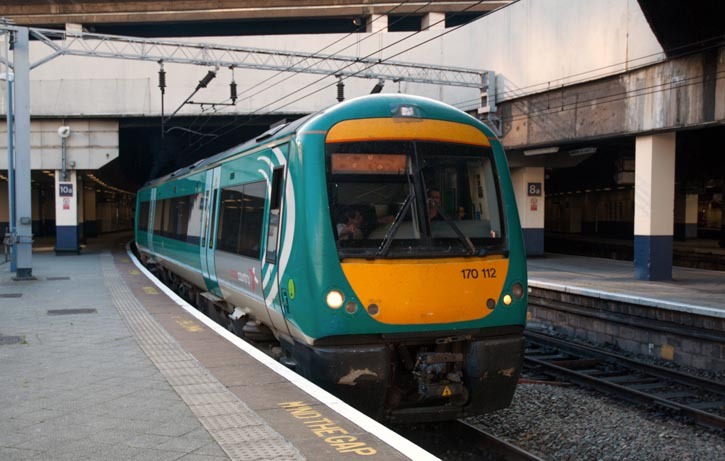 There are also trains to north and south Wales plus the south west and the south of England.Trains also go to the the north east of England Leeds and York and Newcastle. Trains go to the east to Leicester and Peterborough and then on to Cambridge and Stansted Airport. 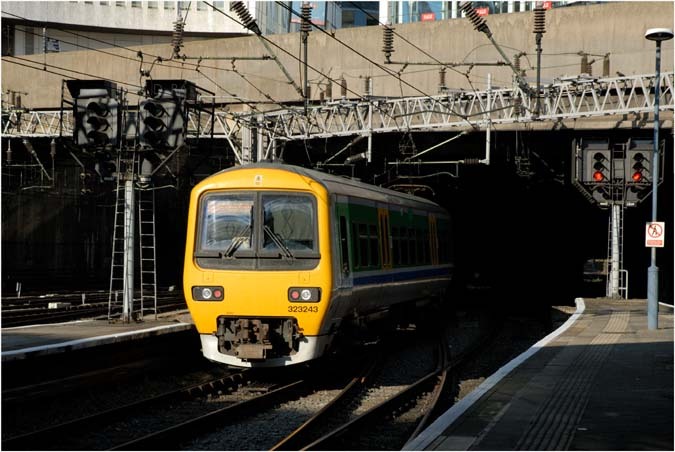 New Street is not Birmingham's only main line station with trains to London. Birmingham Moor Street station is a short (for the fit ) walk away and Snow Hill Station is also not to far away. Work was well in hand in 2017 on the "Birmingham Gateway" to redevelopment and make New Street a far better station. This will hopefully make it lighter and more passenger friendly. This is costing £6,000000 pounds and will hopefully be done by 2015. Any one who has used this station will say, "it's not be for time!"